When I look at the most grievous of these, I find one common thread. All of these horrible situations developed with the “big box” banks. Why? I believe it is because they process and underwrite their loans in some city far way from Northern Virginia. The processor or underwriter works for so many loan officers around the country that all they can do is check the box. 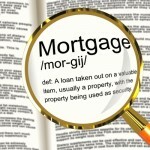 The loan officer does not have the relationship with the underwriter that a local lender does. The loan officer has a much harder time trying to get answers to questions before they become problems. If the loan is super clean, there is likely no issue. But one problem with the borrower, the property or the title and the process grinds to a halt even if the issue is a non-issue. I recently had a “flip” property on the market. From a lender’s standpoint any property owned less than 90 days is a flip and these require extra scrutiny. I understand. This seller bought the property at the courthouse steps, fixed it up and then put it on the market. A well qualified buyer came along with a great buyer’s agent and we ratified a contract with settlement date 30 days out. The buyer wanted to use a big box lender because they had all of their accounts there and thought it would be easier. Guess again. The buyers were approved but the lender started to have questions about the property. They required 2 appraisals which is not uncommon in flips. So far, so good as both appraisals came back at value. Then a week before settlement the craziness starts. I get a call that the underwriter wants to know how much my seller paid for the property. I tell them. Then the next day, the lender wants a copy of the HUD sheet to verify what I told them (which by the way is in the public record AND was on both appraisal reports.) Then the next day I am asked for a list of improvements made by the seller (which was also in the appraisal report). I give them that. Then the next day, they ask for receipts for all of the work done which is hard because some work was done by the seller’s salaried employees. But I get them what they want. Then the next day they tell us they need a 3rd inspection/appraisal. What kind of inspection? Even the loan officer can’t explain it to me. And then the next day while waiting to find out about this 3rd inspection, they ask for the buyer’s home inspection report. We had enough. We were now a few days from settlement and I could see this was not going to happen. I knew that the underwriter in some far away city looking a home inspection report would next be asking for the wattage of the light bulbs. “Go down the hall and talk to my underwriter.” I will never forget that. So important. Last year, I had a buyer who wanted to go with another big box lender. Part of the requirements for him to qualify was to eliminate his car debt. He sold the car to a relative and delivered a statement to the mortgage company showing no balance on the car loan. . Well, no one told him that he needed a bill of sale. The underwriter asked for that and it was delivered to the bank. Then they said, it wasn’t good enough, they wanted to see the cancelled check the relative used. Well this deal was done via wire transfer between credit unions so it took forever to track down the required documentation but it was produced. Whew. I thought we would finally go to settlement. But no, not good enough. The lender required that a conference call be initiated between a rep at the credit union, the buyer and underwriter at which time the credit union rep was asked if the car was paid off and if it was really paid off or just refinanced. The rep verified it was paid off and no new loans issued. Whew! Now we can go to settlement. Not so fast. Now a different underwriter wanted to have the same conference call so the credit union rep, the buyer and the 2nd underwriter all got on the phone again and went through the same exercise. Okay now on to settlement? No next up was thorough review of his tax return. That is way to complicated to go through here but suffice to say “no one had access to common sense.” The buyer hung in there and we eventually settled but this big box lender and their underwriters made this buyer feel like a criminal and liar. I could write other stories about the issues I have had but I think those two illustrate the point. When I start working with a buyer, I give them a list of 4 lenders. All are local lenders with in house underwriting. 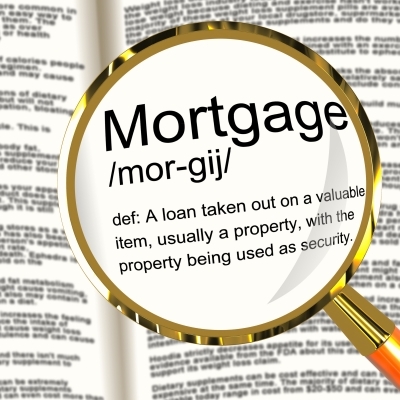 For over 18 years, my “go to” lender has been a loan officer who has in house processing, underwriting and closing. We have never not closed a loan he said he could do. He has enough experience to see turbulence down the road and the ability to speak to an underwriter early on to make sure we can work through the storm clouds. If he says yes, it is done. The choice of any vendor – loan officer, settlement company, inspector – is always the buyer’s. A Realtor can offer guidance based on experience but can not make the decision. However, in my strong opinion, except for the squeaky clean borrower and the squeaky clean property it is really important to go local.